[This game features English language only! Translations to follow. 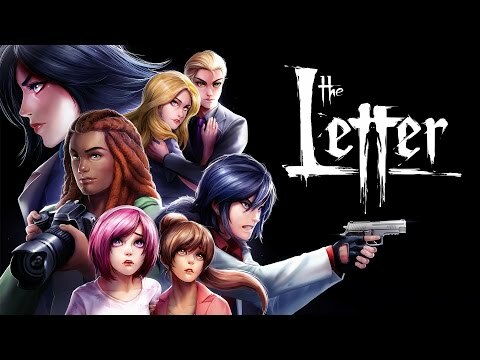 ]ABOUTThe Letter is an interactive, horror/drama visual novel inspired by classic Asian horror films. Told through an immersive branching narrative, the game puts the players into the shoes of seven characters as they find themselves falling prey to a vicious curse plaguing the Ermengarde Mansion for centuries. In this game, your choices will shape and drive the story forward: will you mend a relationship on the verge of collapse, or will you let it fall apart? Will you risk saving them, despite the consequences, or leave them to die a gruesome death? The fate of all the characters is in your hands.FEATURES* Non-chronological storytelling with seven chapters, spanning over 700,000 words. Expect a lot of reading! * Romance, friendship and drama; apart from horror, this game puts heavy emphasis on relationships and character development. * Seven playable characters with varying personality and approach to difficult situations. * Countless butterfly effects; your choices heavily affect the story. * Full English Voice Acting. * Animated backgrounds, CGs and sprites. * Beautifully painted art style. * Original soundtrack, with opening, ending and true ending theme songs. * Quick-Time Events. * First Chapter Completely Free! No ads whatsoever! * General Improvements in Performance * NEW News System. * Beta Localization for Chinese And Russian.